Babies love playing, running and exploring but while they’re enjoying, you always worry they might suddenly hurt themselves on sharp edges or corners. To make your home childproof and have a peace of mind, edge and corner guards is a must have. Edge and corner guards will protect your little ones from hard sharp corners and dangerous edges so you will have one less worry on your mind. Protect your little ones from dangerous, sharp edges and corners with the Roving Cove® Edge and Corner Cushions. These high-density, L-shaped cushions are durable, yet soft, and will absorb impact to help prevent injury. Also includes industrial-strength 3M double-sided tape that is wider and longer. BPA and phthalates free. Perfect for use in home, office, school, hotel and more. Must have for any parents with kids. Childproof your room with the Premium Edge & Corner Guards by Bébé Earth. This Edge & Guard Set is BPA and Phthalates free, making it safe for your child. With the 20.4 feet of coverage, you just need one set to protect the average homestead. The soft, high density cushioning will absorb any protect against hard, sharp edges and corners in your home. 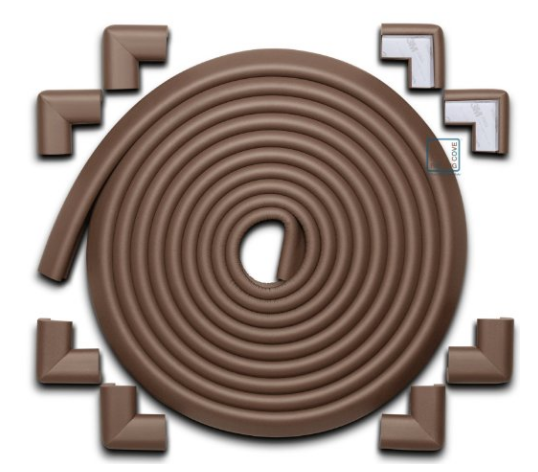 Includes over 36 feet of authentic double-sided tape for the edge cushion and 8 pre-taped corners. If you are looking for a simple, yet efficient way to protect your child and family from sharp edges or sharp table corners, then look no further. The Gland 8pcs Safe Corner Guards and Edge Bumpers are soft and impact absorbing to provide maximum protection from sharp corners and edges. Easy to install with the pre-applied 3M Adhesive tape. Can be used in the sharp surface of furniture, corners and home appliances. Remove quickly and easily without damaging furniture. Looking for ways to save your little one from painful cuts, bumps and bruises? 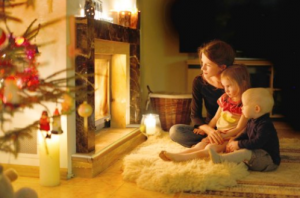 The Mom’s Besty(TM) Premium Edge and Corner Cushion Guard Set is an excellent choice. 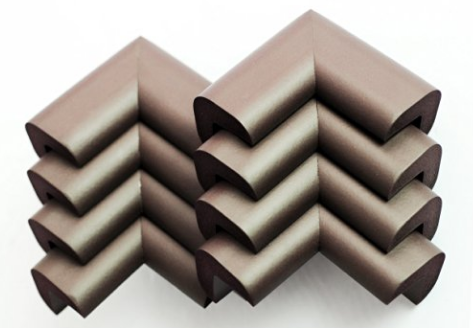 These edge and corner guards feature impact absorbing rubber foam that is soft, durable and extra thick to cushion sharp edges and corners on objects of all shapes. Non-toxic, flame-resistant and latex-free. 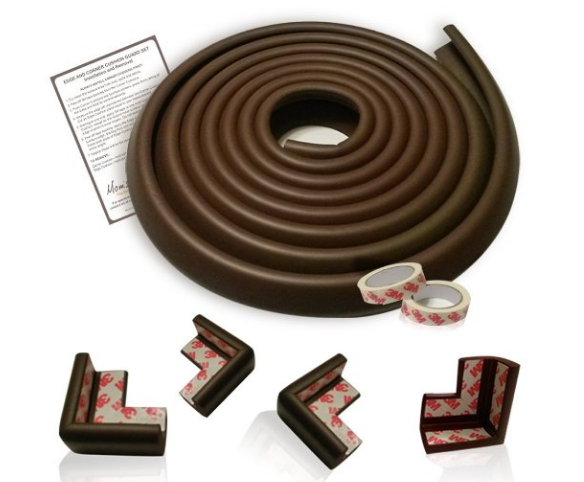 Set includes 15 ft edge guard, 4 corner cushions with pre-attached 3M tape and two 15 ft rolls of 3M double sided tape for the edge guard. 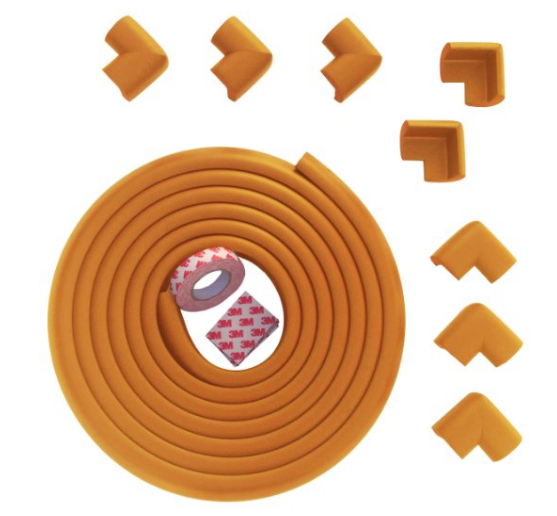 Protect your baby from painful bumps, injuries and bruises with the Bow-Tiger Edge Guard & Corner Bumpers. 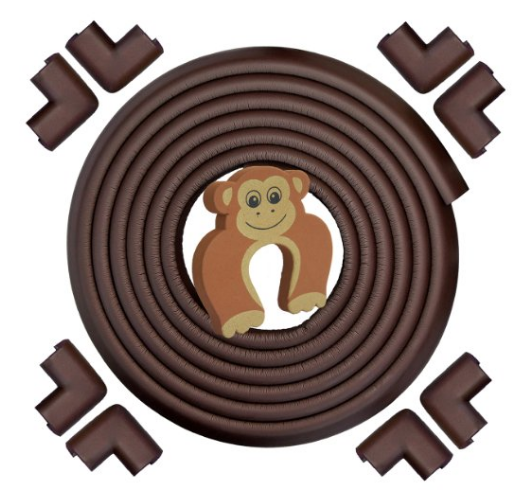 Made from non toxic eco friendly child safe rubber, the edge guard and corner bumpers are perfect for baby proofing your home, daycares, schools, hospitals, offices and more. The Premium high-density thicker soft cushions absorb impact for maximum protection. Includes authentic 3M double-sided tape. Ideal for all kind of furniture and more.